An email suspected to be carrying malicious code has been sent to dozens of reporters covering South Korea's unification ministry handling relations with North Korea, prompting an investigation into the incident, an official said Monday. The email titled "TF reference info" with a compressed file attached was sent to more than 70 members of the ministry's press corps earlier in the day. It was sent through a private email address from a person named "Yoon Hong-geun." The ministry suspects it contains malicious code designed for hacking. 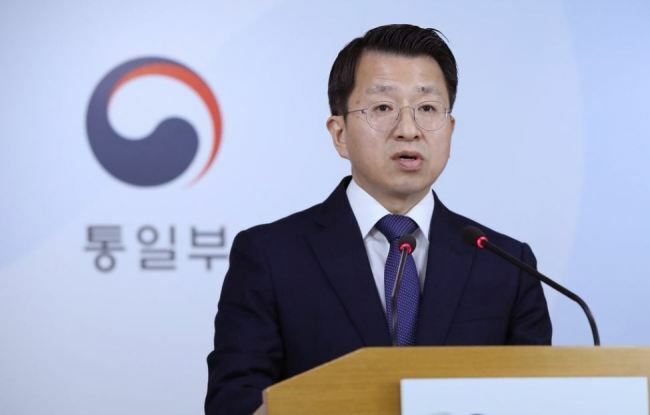 "Since the start of this year, many hacking attempts and cyberattacks have been carried out by those disguising themselves as the government and the unification ministry," Baik Tae-hyun, the ministry's spokesman, told a regular press briefing. "The latest incident has been handed over to relevant agencies (for further investigation)," he added. The incident came days after the ministry said that an investigation is underway to determine who is behind a phishing hacking attempt using an email with an attached ministry-generated document assessing the North Korean leader's New Year's speech. Last month, the ministry announced that the personal information of around 1,000 North Korean defectors, including names and addresses, had been compromised through a malicious code-infected computer at a state-run center helping their resettlement.